This documentary is dedicated to the heroic struggle of Kate Moss and Mary Prince, two enslaved women who fought for their freedom in the 1820s in The Bahamas, and to the women of the Women’s Suffrage Movement who continued with the advocacy for freedom and social justice. In their singular womanish ways, these women advanced and expanded the cause of democracy in The Bahamas. Women’s suffrage is a significant part of the history of our nation. The documentary will help to illuminate and fill a void in this aspect of our national narrative. The documentary in tandem with the website serves as an educational tool for students at all levels and an historical and cultural resource of interest to the general public (local, regional and international). The documentary will enrich and expand (deepen) our understanding of ourselves as a nation committed to freedom, social justice and democracy. Women’s suffrage is a significant part of the history of our nation and the documentary will fill a glaring void and help to illuminate this aspect of our national narrative. As both an educational tool for students at all levels and an historical and cultural work of interest to the general public (local, regional and international), the documentary will enrich our understanding of ourselves as a people committed to expanding our freedoms and democracy. It will inform us of the important role played by women in shaping this commitment. The five women who founded and/or led the movement, namely, Mary Ingraham, Mabel Walker, Eugenia Lockhart, Georgiana Symonette and Dame Dr. Doris Johnson. The voices of the women who stood shoulder to shoulder with these leaders, such as Albertha Isaacs, Althea Mortimer, Norah Hanna, Gladys Bailey, Madge Brown, Veronica Lotmore, Una Prosper Heastie, Ethel Kemp, Mildred Moxey, Marion Stuart and Mildred Donaldson. The women who voted for the first time on November 26, 1962. The men who supported the right to vote in the halls of Parliament. 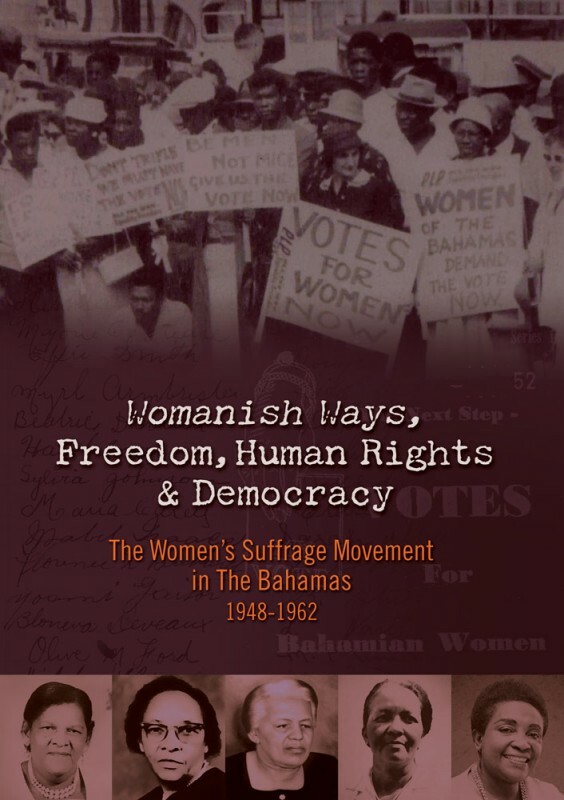 The international women’s organisations that supported women’s suffrage in The Bahamas. The legacy of the suffrage not only for women but our entire community. We are creative Bahamians, committed to building a better Bahamas through our work. We thank the following people and organisations for their generous contributions to our efforts. The DVD is on sale in New Providence bookstores and internationally.